This weekend saw the long awaiting launch of Despicable Me 3 at the cinemas. We were so excited! My children and I all love the Minions and enjoyed every one of the movies so far. We didn't get a chance to go and see it this weekend as it was my little mans birthday but we are going to see it next weekend, hooray! I'm not sure who's more excited about that. We may have not been able to go and see the movie just yet but the kids weren't dissapointed as I surprised them at the party with the brand new Despicable Me 3 Radio Control Inflatable Jumbo Tom from Bladez Toyz for them to all play with. There was a wide range of ages at the party but everyone loved having a go. The older ones (aged 7 and up) had ago but did run off quite quickly back to the bouncy castle and pool so the poor little guy did have some stiff competition. I found that the younger children aged around 4 and 5 got the most enjoyment out of it. One little boy played all sorts of games with him and had great fun. At one point I'm sure I over heard them having a fun conversation (one way of course). Radio Controlled Tom is described as 'Jumbo' but he's actually just 35cm tall so compared to some of the other Jumbo inflatables we've had in the past, he's actually quite small but that's good news as it means he don't take up much room in the house when he's not in use. 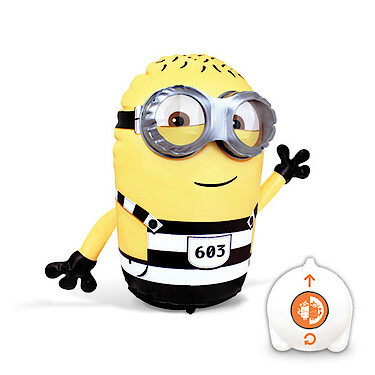 Your jail break themed Minion can be moved in all directions and will even perform 360 degrees spins at the touch of a button. 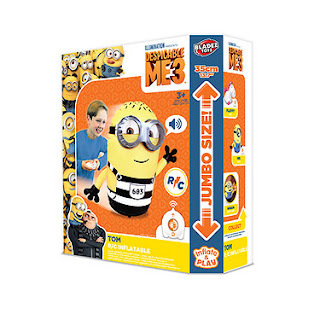 Just inflate and play for lots of despicable fun! This Remote Controlled Minion' is ideal for Despicable Me 3 fans aged three and up. Please note: he requires 2 x AA batteries for the handset and another 4 x AA batteries for the drive unit, which are not included so you will need to buy these separately. Tom, Fluffy the Unicorn and Mel. 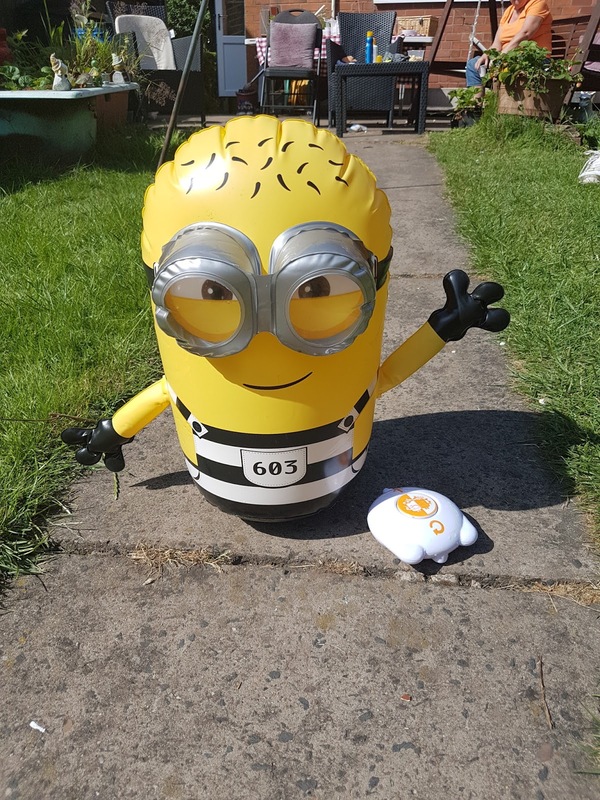 We've been playing with the rather cute Minion Tom who comes dressed in his super cute jail outfit, complete with safety goggles, ready to get up to lots of mischief and trouble with you. He's lots of fun to play with and suitable for all ages (over 3 years). Ryan loves him. 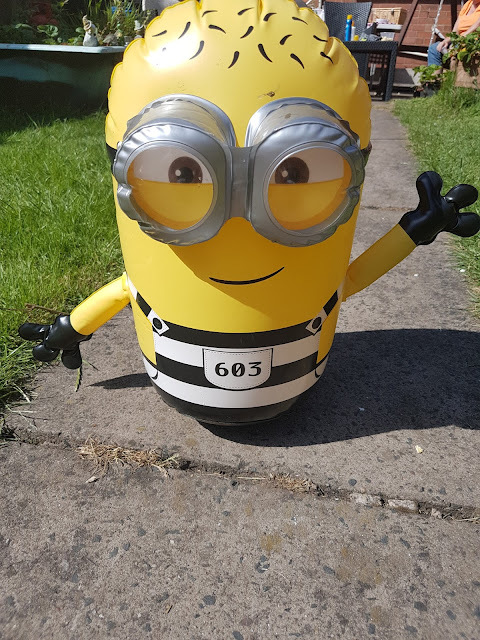 Watch out for Despicable Me Super Saturdays at The Entertainer - they will be demonstrating the inflatables and racing them in every store on Saturday 8th July. 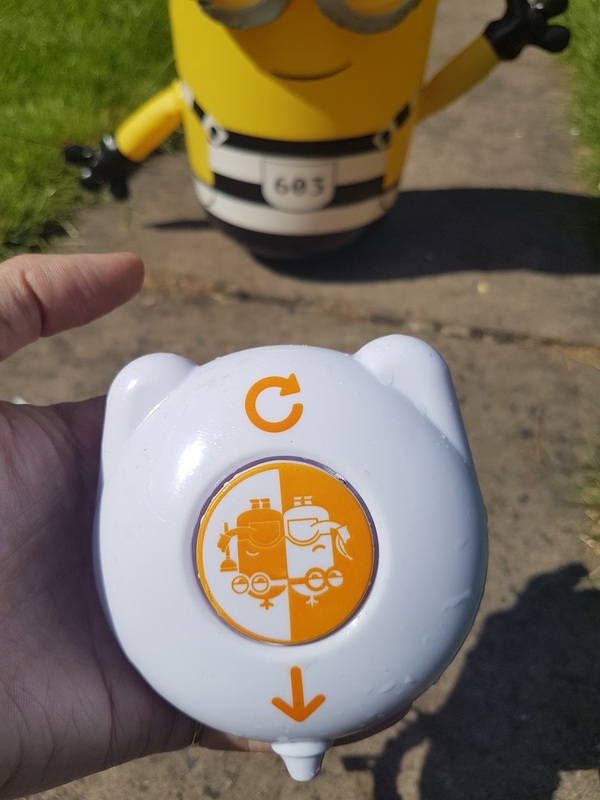 Disclosure: We received our Despicable Me 3 remote controlled Tom sample in return for an honest review. All the opinions expressed within are 100% honest and our own.